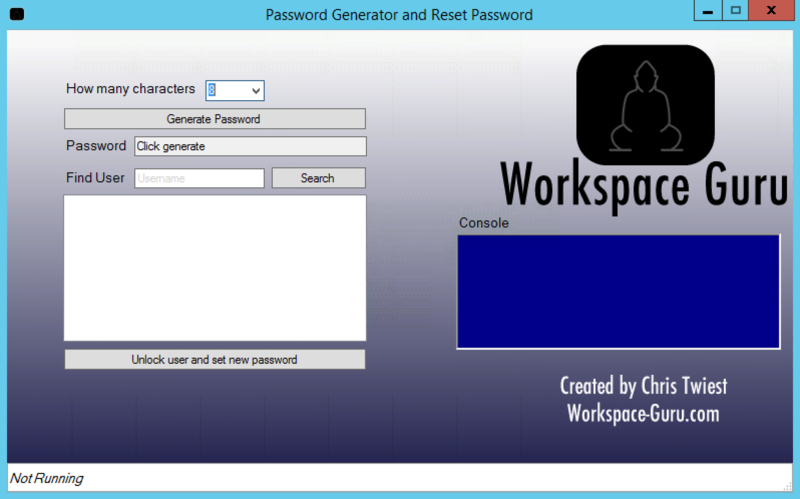 This can be very handy for a service desk which resets a lot of passwords for users. 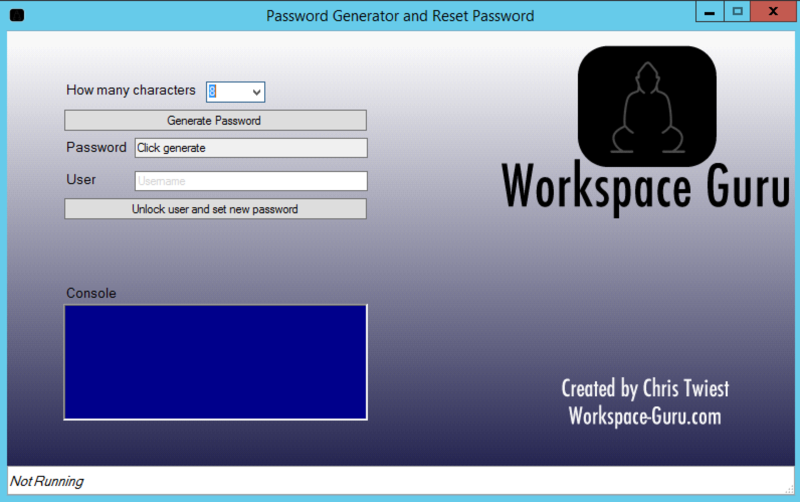 And instead of having to think about a password or start a password generator tool, you can do everything with one tool. I created two version of the tool, one with AD search ability and one without. Both version are in the zip file. To set the password you must have enough rights in the AD. Console shows errors like : User doesn’t exists, not enough rights etc..